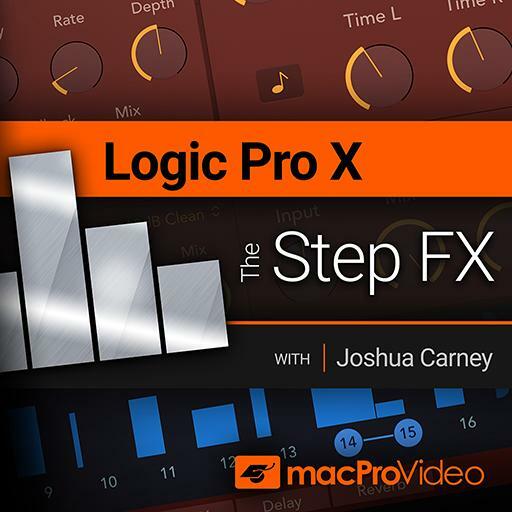 Logic Pro X 202 - The Step FX . Which filter parameter is the same as feedback at the cutoff frequency? The step modulators in Step FX allow for dotted and triplet rhythmic values. The parameters within the Distortion Module cannot be modulated with the step modulator. Which type of filter blends the signal with one or more delayed copies of the original signal? Which step modulator target in Step FX controls the volume of the pattern? Which step modulator target is your "bread and butter" for creating rhythmic sequences? Which of the following reverb types is typically a light, shimmering sounding reverb? How many step modulators are contained within Step FX? What of the following can be used to 'print' and audio signal from one track to another? Which envelope stage controls the amount of time it takes for a signal to reach it's full level? The XY pad can modulate up to how many modulation targets? The XY Pad in Step FX can have how many total modulation targets? Which parameter in a delay unit controls how long the delayed signal lasts for? What type of effects plug-in is Step FX? Which type is great for cutting the high end frequencies, while maintaining the lows? Which type of filter cuts low end frequencies, but allows highs to remain? The modulation depth within the XY Pad can be a positive or negative value. You have answered 0 out of 18 questions.